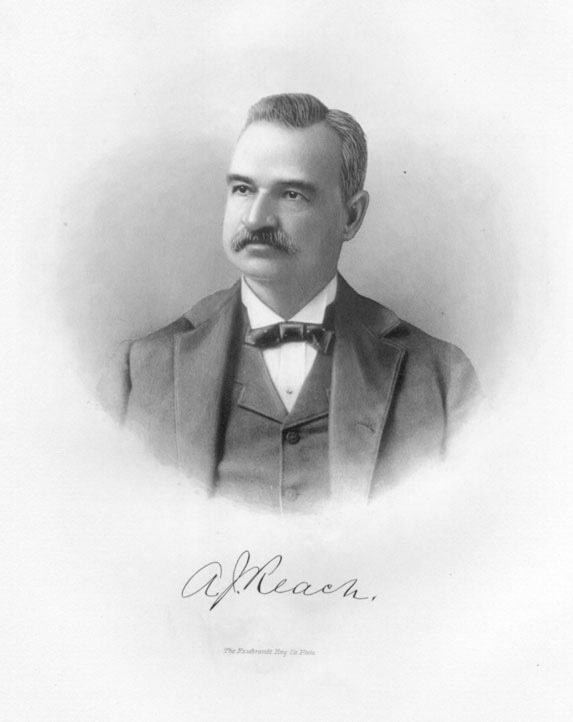 Philadelphia baseball entrepreneur Al Reach, 1898. Long-time president of the Philadelphia Phillies, Al Reach was a wealthy man when this image was published in1898. Having made millions from the sporting goods company he founded in 1870s, Reach also published the first professional baseball guide, which he filled with the player statistics that fueled fan interest in the sport.